Rooftop parties are one of my favorite summer pastimes. Whether it’s a casual get-together or a pre-planned affair, there’s nothing quite like a cool breeze, a crisp drink, and a bevy of snacks against the city skyline. But when those snacks are made hackable, things get even better. 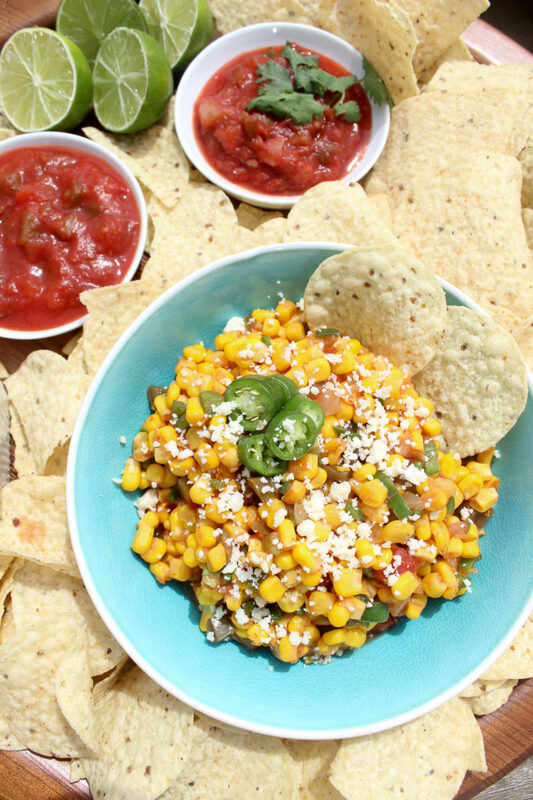 Like this Corn & Serrano Chile Salsa? SO easy!! 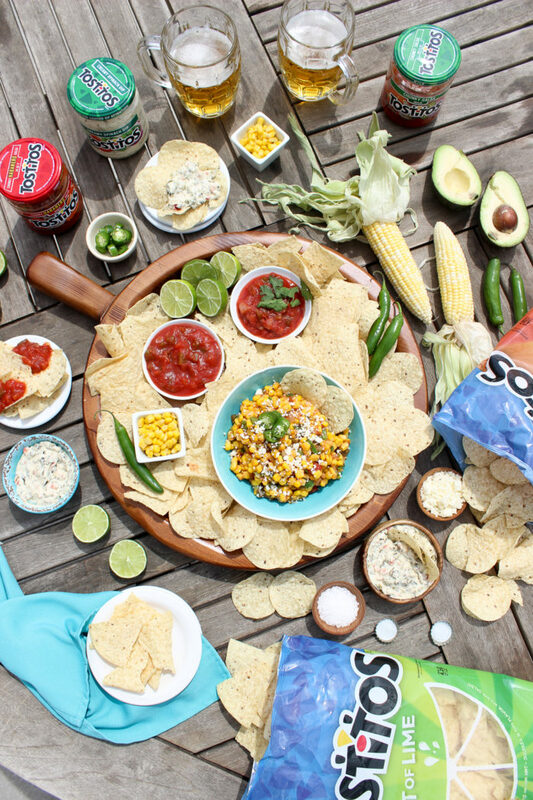 And Tostitos makes it possible. One of the entertaining hurdles I find the hardest to manage is appealing to lots of different appetites. 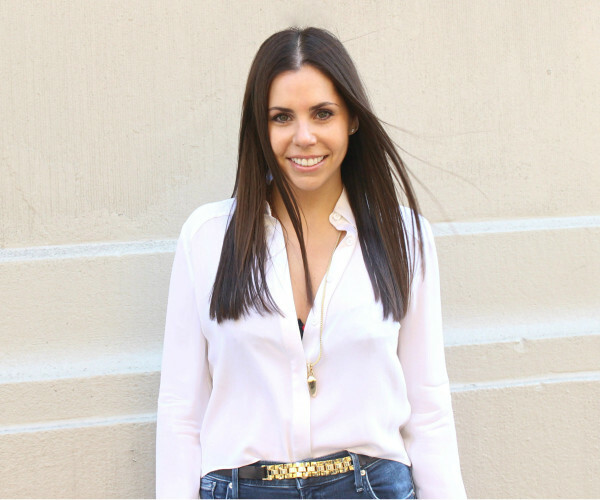 As a controlling perfectionist it’s hard not to micro-manage every last detail, but when you do, where’s the fun? That’s why I love relying on chips and salsa to bring the variety without any stress. 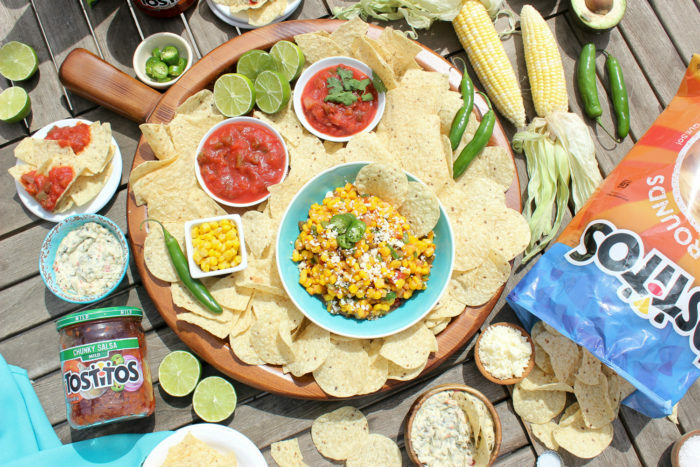 So even if your friends are vegan, dairy-free, or just annoying (it happens), EVERYONE loves chips and salsa! And if yours don’t, please find new people immediately. 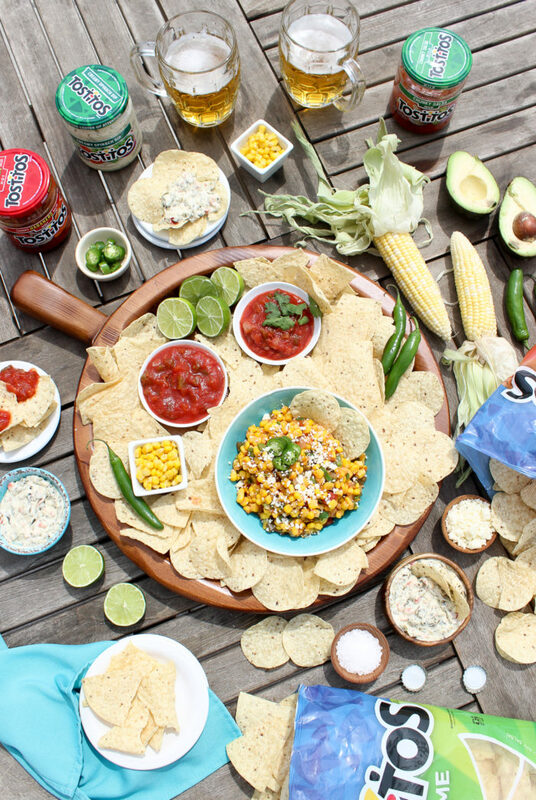 Kidding aside, chips and salsa rule. 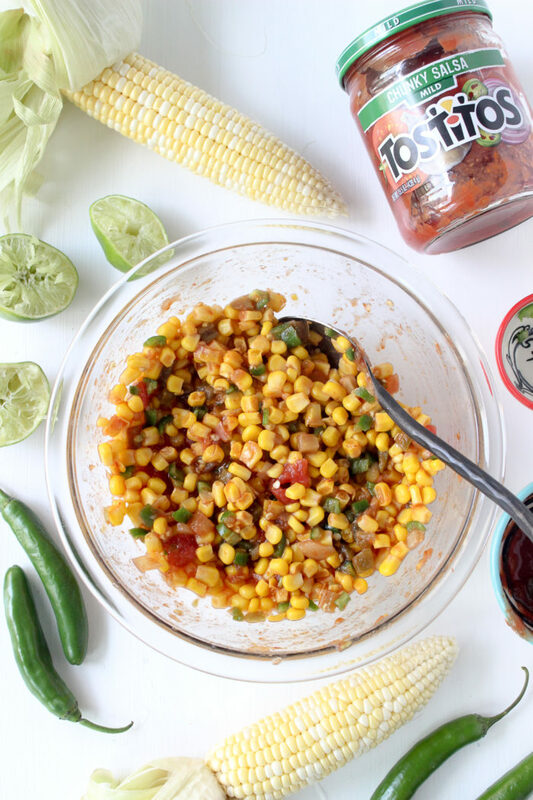 Whether you’re in the mood for something refreshing and light, hearty and spicy, or totally outrageous, salsas are a great way to make it happen. But sometimes all that dicing and splicing feels a little too involved. I mean, manicures — am I right? So when my nails are fresh and my motivation nil, I love to employ smart salsa hacks that taste homemade with only half the effort. This right here is a primo example. Preparing this salsa could not be easier, so I’ll spell it out real quick. That’s IT! 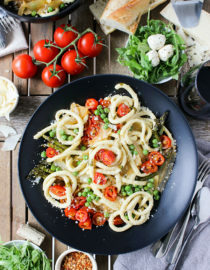 Simple, fast, delicious, and seriously bursting with flavor and texture. The freshness level on this was so high, no one would even guess it’s a hackable dish. But if they did, who cares? Ain’t no shame in the salsa hacking game. 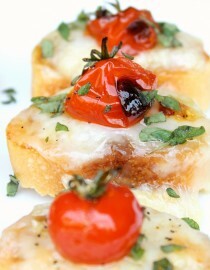 What’s great about this recipe – besides 5 ingredients + 5 minutes! 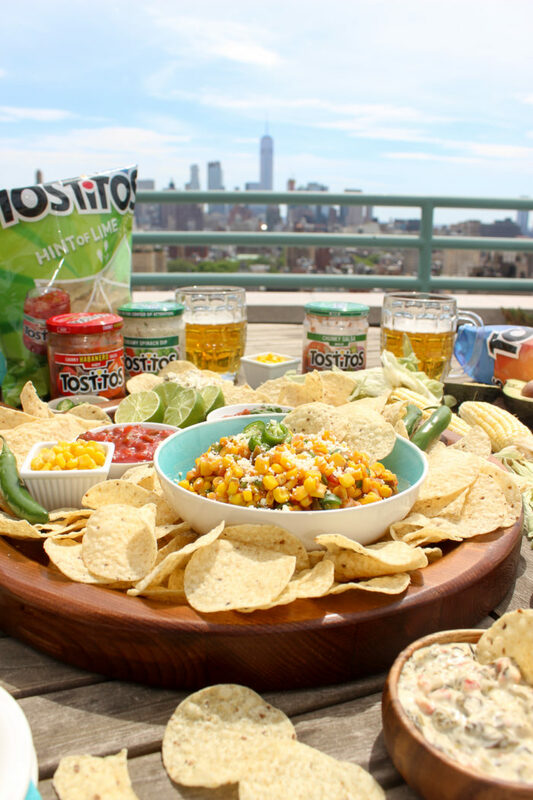 – is that the Tostitos base delivers tremendous taste in one tiny, streamlined package. Naturally flavored with jalapeño, onion, garlic, and vinegar (the tang is crucial!) 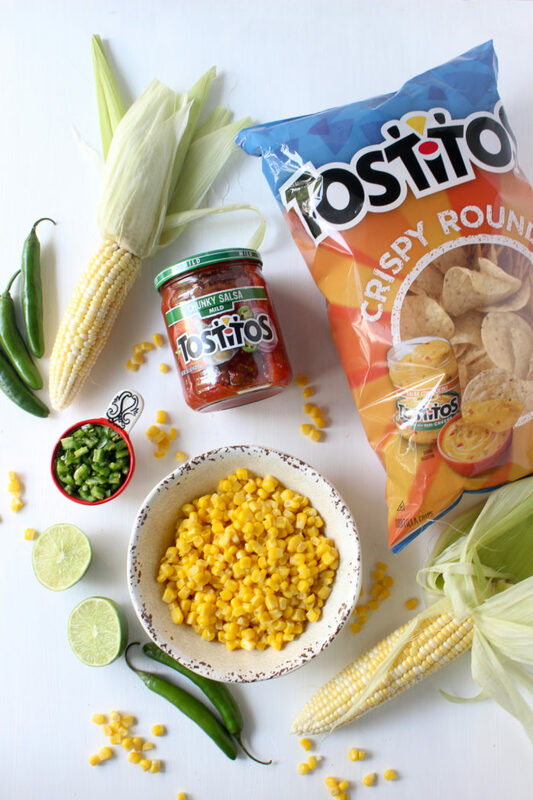 it’s the perfect base for salsa creativity. 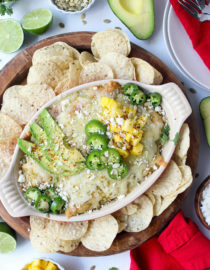 The serrano peppers add mega heat to this (so good), but the corn balances that out with delicate, delightful sweetness. The lime juice adds a necessary crispness that really sells the homemade vibe, and the cotija? A MUST. 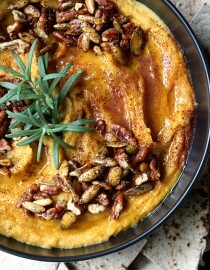 I love how it adds just a touch of cooling creaminess without distracting from the other ingredients. Plus it makes for extra pretty presentation. 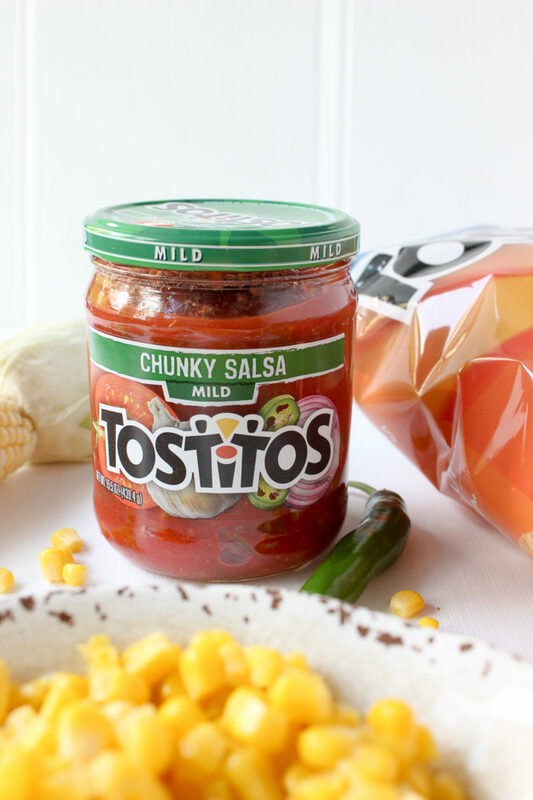 With this as my star salsa, I beefed up my spread with accompanying Tostitos dips (Chipotle + Creamy Spinach! 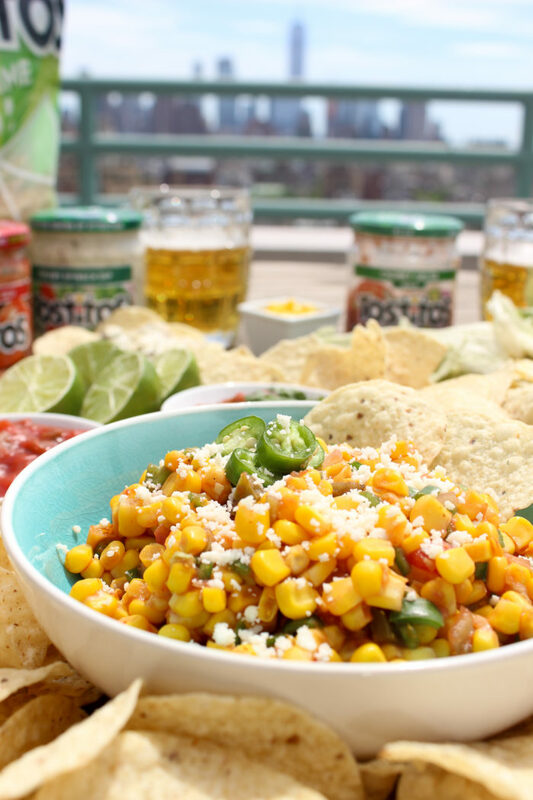 ), a duo of chips (Crispy Rounds + A Hint of Lime), and some beers, because duh. All in all, it took 15 minutes to put everything together, then another 3 hours to chow it all down. And if that isn’t time well spent, I don’t know what is. 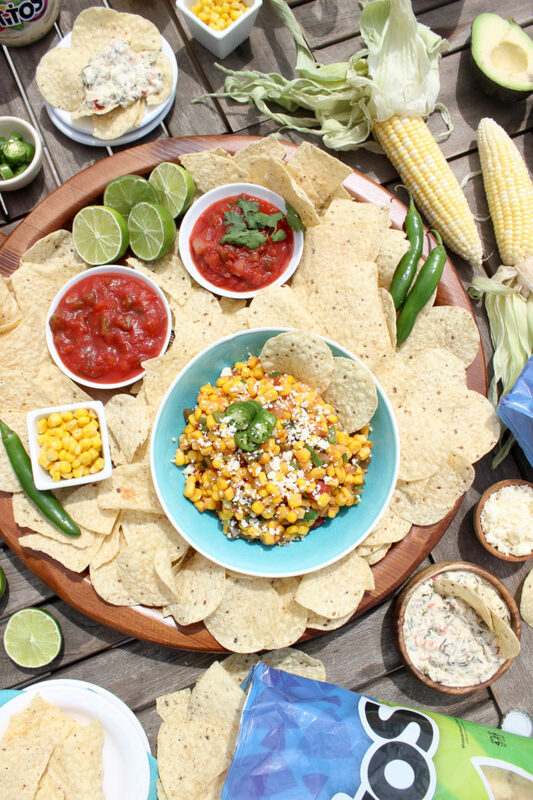 In a medium-sized mixing bowl combine the salsa, corn, serrano peppers, and lime juice, mixing until well combined. Start with 3 serrano peppers, then taste-test to see if you’d like to add a fourth. 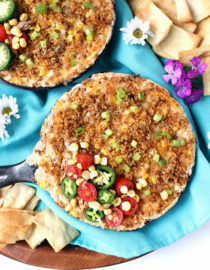 Transfer to a serving bowl, then top with cotija cheese. 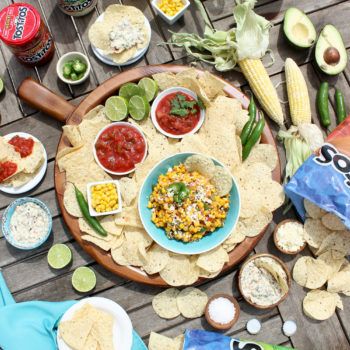 Serve alongside Tostitos tortilla chips for dipping!